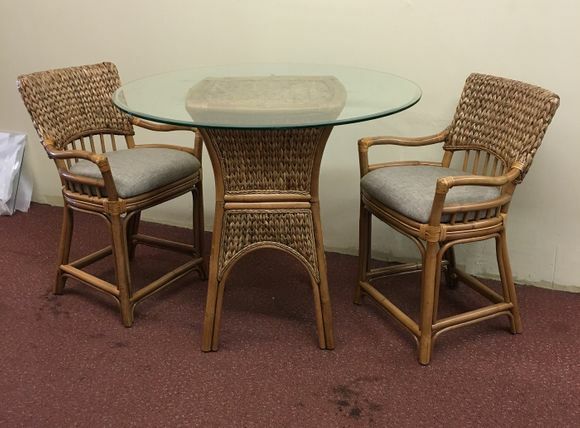 Crafted of rattan accented with water hyacinth our stools are actually counter height (seat height 24 ") and the table height is made lower than bar height to compensate for the lower stool. The Bar Stools measure: 22 inches wide, 22.5 inches deep, 39.5 inches high. Bar Table is 42 inches round and 36 inches high.